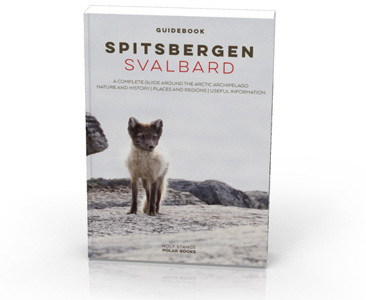 General: Small, very remote group of islands in easternmost Svalbard. Three larger islands and some smaller islets and rocks. 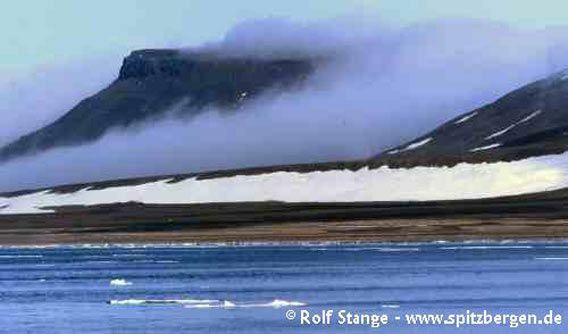 Kong Karls Land is protected as part of the Northeast Svalbard Nature Reserve. It is not allowed to approach Kong Karls Land any nearer than 500 metres, regardless what means of transportation is used – any boat from kayak to icebreaker, aircraft, helicopter, ski, dog sledge, snow mobile… doesn’t matter. The Sysselmannen (Gouvernour) may give permission to visit Kong Karls Land, but this will not be done for touristic purposes. Svenskøya in dense drift ice. Geology: Mesozoic sediments and intrusions (Svenskøya and Kongsøya), tectonically undisturbed and thus in horizontal position. The diagenesis has not been completed, so the sediments are not well solidified – in other words, it can be very muddy (doesn’t matter, as you can’t go ashore anyway). Low-lying Abeløya in the far east consists exclusively of basaltic intrusions, similar to the ones on Edgeøya. Within Svalbard, Kong Karls Land is next to some volcanic ruins in the Bockfjord area the only place where volcanism actually took place at the surface (extrusive activity, as opposed to intrusive activity, traces of which we find in many places in shape of the abundant basaltic (doleritic) intrusions). Thus, Kong Karls Land is, geologically speaking, a link between Svalbard and Franz Josef Land, where extrusive rocks are more common. Landscape: Plateau-shaped mountains, less than 300 metres high, and coastal plains. Big rocks whereever bedrock is made of basalt, otherwise often rather muddy. On the beaches, there is a lot of driftwood. The overall impression is high-arctic and barren. Kong Karls Land is surrounded by dense drift ice for most of the year. There are no glaciers, but some perennial snow fields. Flora and Fauna: High arctic. Flora: high arctic, very barren. Fauna: Important polar bear ‘nursery’ during the relevant season (December-April). This is the reason why Kong Karls Land is so strictly protected. The highest density of polar bear dens is on the slopes of Tordenskjoldberget, a mountain on Kongsøya. In recent years, it has, however, happened that the females don’t reach Kong Karls Land in seasons with little sea ice in the early winter. History: Rarely visited and lately mapped due to the usually very heavy ice conditions. 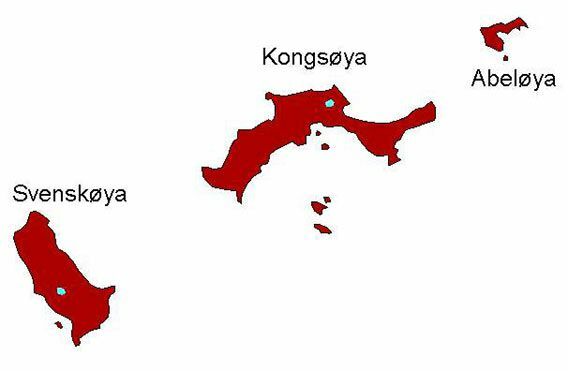 Kong Karls Land appeared on maps during the second half of the 19th century, quite much overestimated in size in the earlier versions. Visits of Pomors or 17th century whalers are not known. The islands were for the first time more or less properly mapped in 1898, when they were visited by both a German expedition (Theodor Lerner on the ship Helgoland) and a Swedish expedition (Alfred G. Nathorst with the Antarctic). Norwegian trappers wintered here at least once in the early 20th century to hunt polar bears, of which they got plenty, but they couldn’t take them home next summer. The boat which should pick them up couldn’t get through the ice. As they could not spend another winter, they had to pull their small boat over the ice, until they reach open water near Edgeøya. They rowed across the Storfjord to the east coast of Spitsbergen, from where they hiked to Longyearbyen (or Longyear City, as it was called those days).